A week or so ago I wrote how the Illuminares Festival — so vital a part of the east-side calendar — has been ripped from our hands and delivered to the fat cats downtown. After reading my post, Public Dreams, the event organizers, wrote to me to explain their decision. Their letter explained that they had to broaden their reach into the community outside the east side. In an interview with CBC Radio this afternoon, they expanded that reason to suggest it was important that they reach out to communities where the citizens were less integrated with the arts community. Does that sound like downtown to you? 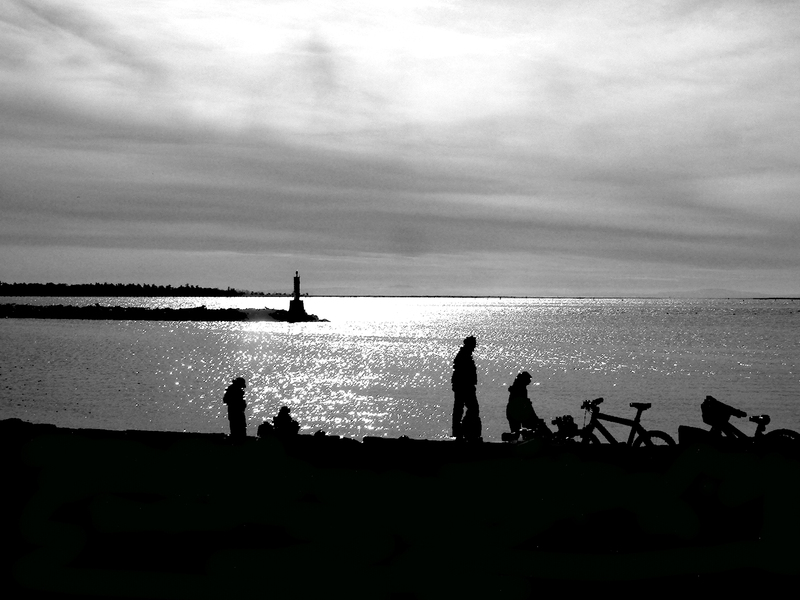 Especially this weekend when downtown hosts the Pride Festival and the Celebration of Lights along with Illuminares. If the real reason was to reach out to event-lacking communities, why didn’t they move to Champlain Heights or Marpole or South Vancouver or even Kerrisdale? Why did they move to downtown which is jam-packed with events year round? Clearly the claim that they are expanding into communities where the citizens are less integrated with the arts community is simply false, at least for 2011. They also claim that holding the festival at Trout Lake was too expensive as they were responsible for permit fees, portapotties and security. That sounds like a phony excuse too. Do they not have these costs downtown? If not, why not? When they publish their annual cost statements we’ll get to see the truth of the matter, I hope. Given that both stated reasons for moving the festival out of east Vancouver appear to be sketchy at best, I find myself ever more disappointed with Public Dreams. Shame on them. I was researching at the library today and decided to ask why, two months after they bought copies of my book, “The Drive” is still not available on the shelves. It has made it to the catalog but all copies are listed as “unavailable”. It was explained to me that budget cuts have hit the library hard, and the reduced number of acquisitions staff are months behind. Apparently they have an immense line of books to get through, falling behind all the the time. I know this isn’t as important as losing women’s’ shelters or schools closing, but really — what’s the point of buying books if they can’t be read? Sumo Is Back and Harumafuji Does It Again! Regular readers will know that my wife and I are devotees of sumo. This year has been a sorry one for fans of the sport as we had to deal with the remnants of last year’s betting scandal which was immediately followed by an even bigger match-fixing scandal. The latter was so serious that it cost the jobs of a dozen or so rikishi (wrestlers) and managers who were thrown out of the sport. 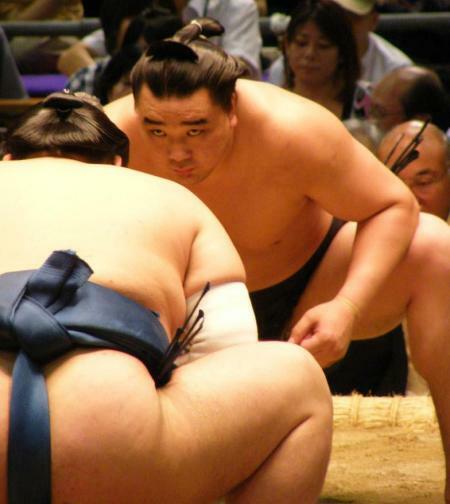 The Sumo Association was forced to cancel the March basho tournament entirely while Japan TV refused to cover the next basho in May. There were times we seriously wondered if the ancient sport would actually survive. But the July basho was held and televised, and will end tonight. An interesting bunch of younger rikishi were promoted to the ranks of those now departed and it seems we might be back to normal. One of our favourite rikishi is ozeki Harumafuji and I was pleased a couple of years ago to report here when he won his first yusho (championship). To be frank, he hasn’t been very good these past couple of years. He has been injury-prone and has barely done enough to keep his rank of ozeki. Since he won that yusho, the age’s greatest rikishi, Asashoryu was forced to retire for “lack of dignity” and the sport has been dominated by Hakuho who has won the last seven yusho in a row, equalling Asashoryu’s record. But last night Harumajui defeated Hakuho to win his second Emperor’s Cup. It was a great and worthy fight and I cheered and cheered at the end. In other sports news, I have to report that my man Alberto Contador was just not up to snuff in the Tour de France this year. But, luckily, the Schleck Brothers couldn’t win either and this year’s race will be won tomorrow by Cadel Evans, the first Australian to do so. He thoroughly deserves the title. We will soon have a new butcher’s shop on Commercial Drive called Pasture to Plate, selling “certified organic grass finished” meats. I passed by there today and took one of the brochures they are keen for shoppers to have. It included a price list which made me feel certifiably faint — and guarantees that I will never be a Pasture to Plate customer. Now, I might well be willing to pay double the usual price to help save the planet and help the cows and pigs live more tender lives. I might well pay even more for what they claim is a better taste. But that, apparently, is not enough. Pork Chops from the local SuperValu (which has a superb and friendly butchery department) this week are$8.80 a kg. Let’s say I’m willing to double that and add a bit for taste — say $20 a kilo. Well I’d be out of luck at P to P: they want $36.99 a kg! That’s almost five times the price I currently pay. Same thing with pork tenderloin ($45.99 a kg compared to $14.31), and beef tenderloin ($60.99 compared to $22.02). I’m sure I could find a score or more examples. Charging five times the going rate indicates one of two things: either they are REALLY bad at cost control in their production, or they are gouging the suckers who want to “do the right thing.” Frankly, you would have to be nuts to buy into this nonsense. It is a sadness to report that the greatest British artist of our age has died today. 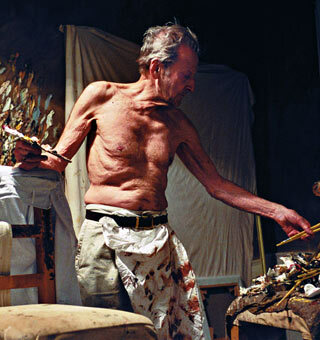 Lucian Freud was 88. It is a great thing that his art was as valued in the marketplace as it was in art circles, and he lived long enough to see some of his marvelous work fetch record prices. I hope there is a lot more of his work to be seen. Earlier material on Lucian Freud. 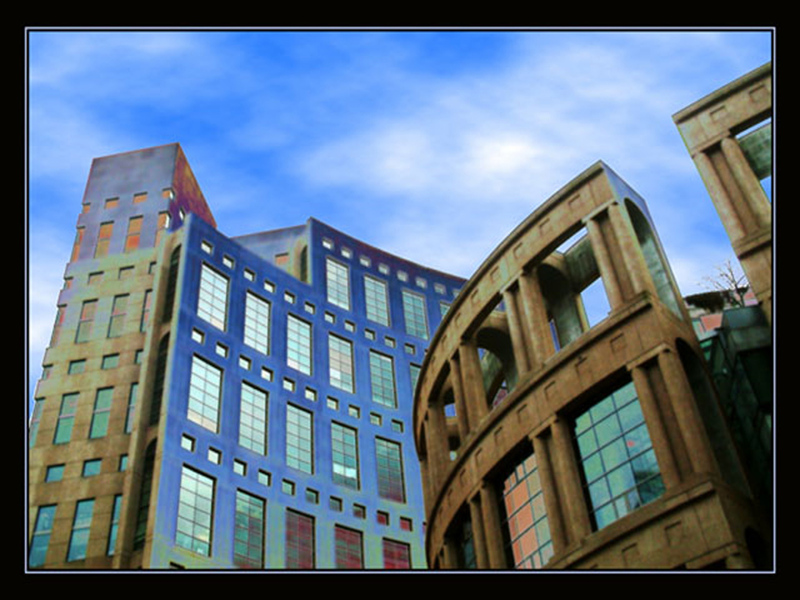 You are currently browsing the Jak's View of Vancouver v.3 blog archives for July, 2011.